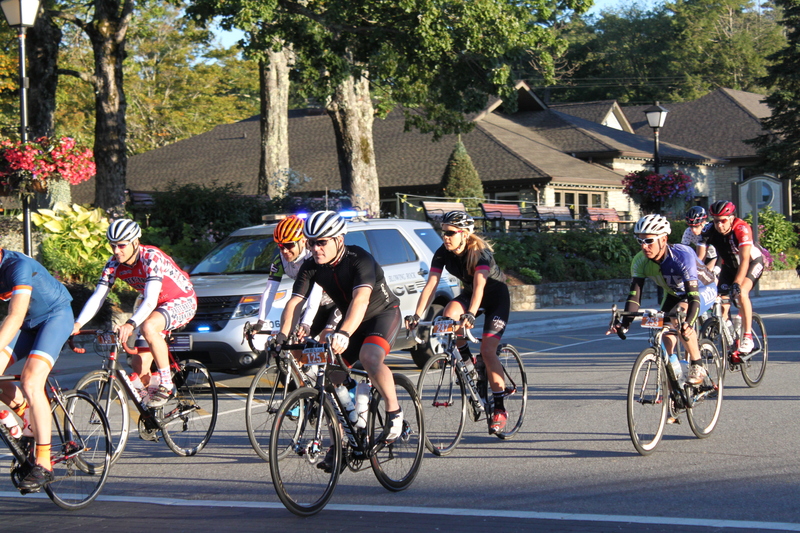 The Blowing Rock Fall Classic is a 72 mile bike ride on Saturday, September 15, 2018. It is part of a Triple Crown of bike rides along with Blood, Sweat & Gears and the Beech Mountain Metric of the High Country Cycling Hat Trick. The circuit has an elevation gain of over 6000 feet and follows some of the most scenic roads in the state. Proceeds from the ride benefit the Winter Warmer Project, a charity created by the Blood, Sweat & Gears ride that helps provide warm clothes and bedding for people in need. The ride starts Saturday morning at 8am, beginning and ending on Park Avenue, in front of the Police Department in downtown Blowing Rock. Park Avenue will be closed to automobile traffic Saturday from dawn until around 4pm.